The "Best of Southern Gospel" songbook contains some of the most popular song in Southern Gospel, both old and new! It includes songs from all generations of "Gospel" music. There are 573 songs in this collection ranging from "Dig a Little Deeper" and "Turn Your Radio On" to "DayStar" or "Minight Cry." This extensive collection of Gospel Songs is filled with memories of times gone by, when we were challenged to sing our part with joy and energy. BSG contains the most popular songs of the past and present, by the most talented songwriters like Albert Brumley (28), J. R. Baxter (17), and Luther Presley (14). Plus it contains so many songs by writers like Mosie Lister (17), James Coats (8), Phil Cross and hundreds more. Newer songs included “Midnight Cry,” “Daystar,” “Can He? Could He? Would He?,” and many, many more. We have included the best songs sung and recorded by the very popular group, The Chuck Wagon Gang. BSG is the best collection of Gospel songs, anywhere! THIS BOOK IS A DREAM FOR ANY SOUTHERN GOSPEL MUSIC FAN -- FROM THE OLD HYMNS OF THE CHURCH TO THE QUARTET STYLE OF SINGING. 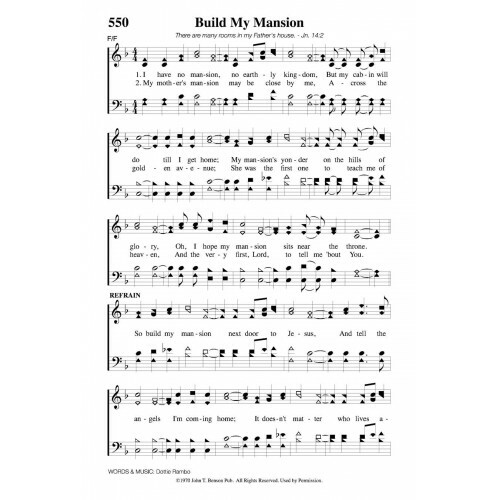 Great hymnal for those who love to sing! - Great for those special occasions, or anytime! - A must for every collector! "Best of Southern Gospel" hymnbook comes in Shape Note or Conventional Notes, in Hardback, Softback and Spirial for either shape or conventional notes! BSG is the third hymnbook in our trilogy of classic Gospel music. "Precious Memories," the first in this series was published in 2008 and contains 130 of the basic hymns we have sung through the ages. "Classic Gospel Hymns," the second in this trilogy published 2014, contains 320 of the all-time favorite Gospel songs. Both of these collections have larger print and are great for nursing homes or special gatherings. Song Index This songbook contains 382 songs in this hymnal originally published in 1961 and 1989..
Song Index Memories are a precious gift from God! These songs are full of rich, rewarding memori.. 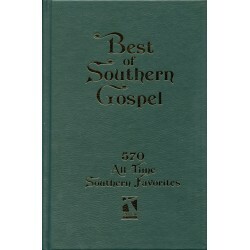 This book is - BEST OF SOUTHERN GOSPEL - SOFT-BACK - CONVENTIONAL NOTATION SONG INDEX &nbs.. 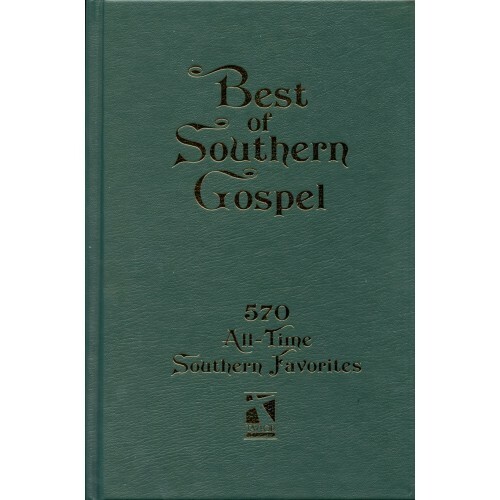 This book is - BEST OF SOUTHERN GOSPEL - SOFT BOUND - SHAPE NOTE NOTATION SONG INDEX .. This book is - BEST OF SOUTHERN GOSPEL - SPIRAL BOUND - SHAPE NOTE NOTATION SONG INDEX PR.. 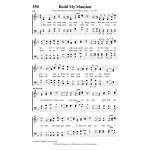 This book is - BEST OF SOUTHERN GOSPEL - HARD-BACK - CONVENTIOAL NOTE NOTATION C..
SONG INDEX PRINTABLE INDEX All of the 573 songs in the hymnal,.. This DVD contains a midi playback of every song in the Best of Southern Gospel hymnal. Each song is ..